Cutting back on eating meat? You won’t feel too deprived if you try one or more of these delicious meat substitutes. 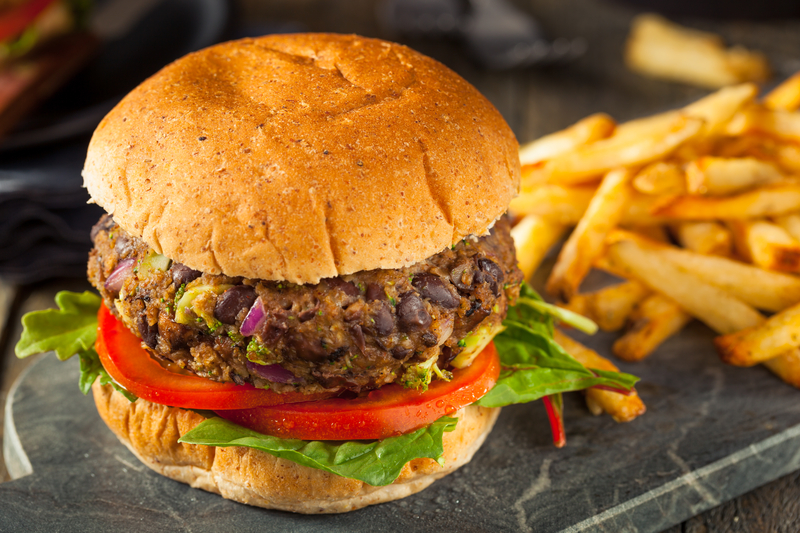 Mushrooms and black beans are great meat substitutes for veggie burgers. As people become more concerned about their personal health, and as plant-based products become tastier and more versatile, meat substitute sales in the United States have continued to grow. The market is estimated to reach $4.54 billion in 2018 and is projected to rise to $6.43 billion by 2023, according to a report by Markets and Markets. If you’re looking to switch to a plant-based diet—or if you’re ready to commit only to a “meatless Monday” plan—you may be confused by all of the options available to replace your favorite cuts of meat and poultry. Luckily, we’re here to help. Here are eight meat substitutes with the potential to please both the vegetarians and the meat eaters in your home. Soybean products are probably the oldest and most popular type of meat substitute for vegetarians and vegans and are mainly consumed in three forms: tofu, tempeh, and textured vegetable protein (TVP). Tofu-making dates back to the Han dynasty in China over 2,000 years ago where it then spread to Japan, Vietnam and other southeast Asian countries. To make tofu, dried soybeans are soaked, mashed, and then boiled. Soy milk is extracted from the mixture for drinking and a coagulant is added to the remaining mixture to form curds for tofu. The curds are then pressed and cut into blocks. Tofu is somewhat bland but it picks up the flavors of any sauces and seasonings added to it. It comes in various textures ranging from soft to extra firm, depending on preference and how it will be prepared. Tempeh, which originated in Indonesia, is prepared by fermenting cooked soybeans and pressing them into firm blocks. Compared to tofu, tempeh is firmer and chewier, and it has a mildly earthy and sweet flavor. It also contains more fiber and protein than tofu. It can be crumbled into pasta dishes and casseroles and used a filling for tacos. Textured vegetable protein, or TVF, is the most affordable and versatile of the three. Made of defatted soy flour, TVF was invented in the 1960s and used as an extender for processed meats. It’s now sold in chunks as a meat substitute for stews, casseroles, veggie burgers, and nuggets. It’s also the main ingredient of various premade meat-free products. Although it’s one of the easiest ways to whip up a delicious meat-free meal, it is highly processed and, therefore, should be eaten in moderation. Seitan is another meat substitute that originated in Asia but is made using wheat gluten instead of soybeans. Seitan, which is made by rinsing and cooking wheat dough until only gluten remains, is sold in rolls or loaves that can be seasoned and cooked as desired. It also can be prepared at home by mixing powdered gluten with water. Seitan can be fried, steamed and baked, and has a neutral flavor that absorbs the flavors its mixed with. Because it’s high in protein and low in carbs, seitan is popular choice for those allergic to soy; however, those with celiac disease or gluten sensitivity should avoid it. If you’re looking to adapt a plant-based diet but are going to miss digging into a pulled pork sandwich, jackfruit should be on your grocery list. While ripe jackfruit, which is native to India, tastes sweet, unripe jackfruit makes a good shredded meat substitute for barbecue and curry dishes. 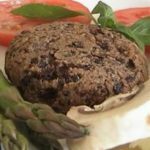 Its protein content isn’t as high as the other meat substitutes on this list, but it makes a satisfying treat for vegans and meat eaters alike. It can be hard to find fresh; canned jackfruit, though, is more readily available. If you’re new to eating a plant-based diet but you’re not yet ready to experiment with any of these meat substitutes, the remaining choices on this list are probably the best place to start. Whether you’re a vegan or meat eater, legumes are probably a huge part of your diet already. In addition to soybeans, lentils, chickpeas, and other beans (kidney, black, navy, and pinto, for example) are all considered a part of the legume family. They’re high in protein, antioxidants, and fiber and low in saturated fat, and they provide a meaty texture to meatless dishes. Lentils and chickpeas, in particular, are often used to make mock versions of spaghetti and meat sauce, crab cakes, and sloppy joes. Because of their chewy texture and umami flavor, mushrooms are popular choice for a meat substitute. They can be added to pastas and casseroles in place of meat, grilled whole and served as a burger, or used as a filling for tacos, sandwiches, and ravioli. Cauliflower is finally getting some shine as a substitute for both meat and rice. It can be chopped or pulsed, seasoned, and then cooked—either by itself or with other vegetables—to add a meaty bulk to pasta sauces and burritos. Or it can be “riced” and served as a replacement for white rice or other grains if you’re cutting back on carbs. Eggplant parmesan is a longtime favorite in our house because it pleases both meat eaters and vegetarians alike, but eggplant is also a great base for pulled “meat” sandwiches, curries, stews, stir fries and “meat” balls. Eggplant can be roasted, fried, grilled or baked. Quick tip: If you’re not a fan of its slightly bitter flavor, sprinkle your sliced eggplant liberally with salt on both sides, let it sit for about 30 minutes, and then rinse before cooking. Think beyond baked potatoes and French fries. Potatoes—both white and sweet—make a delicious base for soups, curries, burritos, and veggie burgers. Potatoes are a good source of fiber, protein, vitamins, and minerals. For more information, check out Sweet Potatoes vs. Potatoes: Which Are Healthier? Make extra and freeze them for quick weeknight dinners. Serve burgers on toasted gluten-free buns and top with your favorite trimmings (ketchup, mayo, mustard, lettuce, pickles, tomato) or enjoy them as plain patties with your favorite sides. Place black beans in a large bowl and mash with a fork to a chunky consistency. Grind oats into a coarse flour using a blender or food processor and add to bowl with beans. Add remaining ingredients and combine until a thick batter is formed. Place bean mixture in the refrigerator to chill and to allow flavors to meld for at least 20 to 30 minutes. Put a large skillet sprayed with cooking spray over medium-high heat. Using your hands, divide bean mixture into four sections and form each section into a patty. Place patties in the skillet and cook for 6 to 7 minutes on each side until they’re crisp and lightly browned. As an alternative, bake burgers for 15 to 20 minutes on each side in a 350-degree oven. Each burger contains 165 calories, 3g total fat, 0g saturated fat, 0g trans fat, 0 mg cholesterol, 732 mg sodium, 26g carbohydrate, 8g fiber, 9g protein. 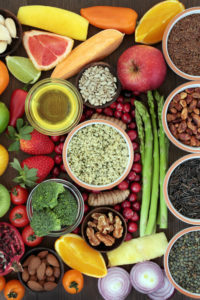 add, antioxidants, calories, cauliflower, celiac, celiac disease, cholesterol, cooking, cumin, dates, diet, fermenting, fiber, food, garlic, gluten, gluten free, gluten free soy sauce, gluten sensitivity, health, meatless monday, milk, nuts, plant based diet, potatoes, protein, quinoa, report, skin, soy, soy milk, sugar, trans fat, vegetables, vitamins, vitamins and minerals, walnuts, wheat gluten.